According to CNBC, the paper value of Oprah's stake fell by about $24 million. But she still recorded a gain of nearly $75 million since she got involved with the company, CNBC pointed out. Oprah Winfrey attends the premiere of the Oprah Winfrey Network's (OWN) documentary series "Belief", at The TimesCenter on Wednesday, Oct. 14, 2015, in New York. Weight Watchers' loss was a surprise. But not a good one. Shares of the weight-loss company dove in aftermarket trading after it posted a loss for the fourth quarter. Analysts had expected a small profit. The company is struggling to capture the attention of dieters amid the popularity of step-counting fitness gadgets like Fitbit and free weight-loss apps, and has been bleeding subscribers. 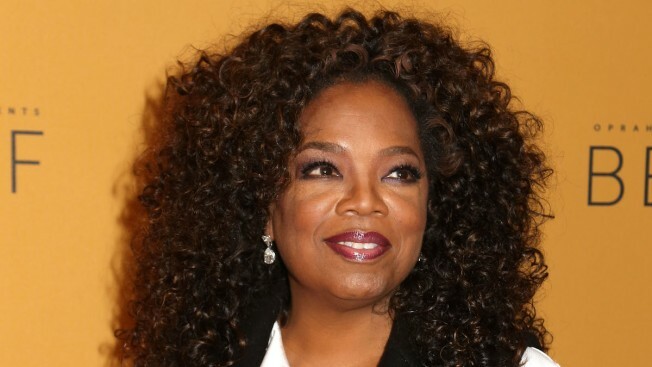 Oprah Winfrey, known for her weight struggles, bought a 10-percent stake in October, giving the stock a boost. The company had hoped that her endorsement and a shift to focusing on health and wellness, rather than just losing weight, would attract new users. But Weight Watchers on Thursday said that its subscriber totals fell 4.8 percent, to 2.4 million, in the fourth quarter. Still, that was an improvement over the 12.7-percent decline in the third quarter, Weight Watchers said, and it's seen "strong recruitment growth" after the launch of its new program in December. The New York company posted a fourth-quarter loss of $11.3 million, or 18 cents per share, versus a profit of $4.4 million, or 8 cents per share, a year earlier. Excluding costs of the Winfrey deal and restructuring charges, the most recent quarter's loss came to 3 cents, the company said. The four analysts polled by Zacks Investment Research expected earnings of 2 cents per share. Revenue slid 21 percent to $259.2 million. For the year that ran through Jan. 2, Weight Watchers earned $32.9 million, or 56 cents per share, on revenue of $1.16 billion. For this year, Weight Watchers expects profit for of 70 cents to $1 per share. That brackets the estimate of analysts surveyed by FactSet, of 83 cents per share. Weight Watchers International Inc. shares tumbled $2.50, or 16 percent, to $13.05 in aftermarket trading. The stock is down 32 percent in 2016 and off 41 percent in the past three months. The shares have given back a lot of their pop after the Winfrey investment, but closed Thursday at $15.55. That was more than double the price at which Winfrey invested, $6.79.